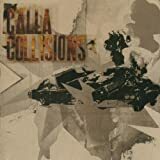 Calla is an indie rock band formed in North Texas in 1997. The band has been based in Brooklyn, New York for most of its existence. They have been on hiatus since 2007, after touring to support their album Strength In Numbers.